your terms, on your turf. Whether you enjoy learning at the kitchen table or local coffee shop, we have a program that's right for you. Our online and evening courses are designed for the working professional, stay-at-home parent, or anyone needing a flexible schedule to earn a degree. At William Penn University, diversity isn’t something for which we strive. It’s who we are. It’s who we’ve been for over 140 years. When we open our hearts, our minds and our arms to the world, we become the world. In the middle of Iowa. Our place. Your place. Define success, your way. With us, opportunity is real. Our diversity lights the path to a deeper understanding of the world. Our community is alive, delivering the opportunity for education to all. To be who you are, to celebrate differences, to value that other perspective while making your voice known. To lean forward, push ahead, and change what’s possible. There is value in everyone. Simple. Powerful. True. Join us in celebrating the WPU Jazz Band and Choir at their Spring concert in the MTC Atrium. Admittance is free and open to the community. All current students are welcome to attend this annual celebration! This year's theme will be glow-in-the-dark! Students can expect activities like giant inflatables and shaved ice along with other awesome experiences. You won't want to miss this. Your legacy is waiting to be born. Your future is waiting to be shaped. 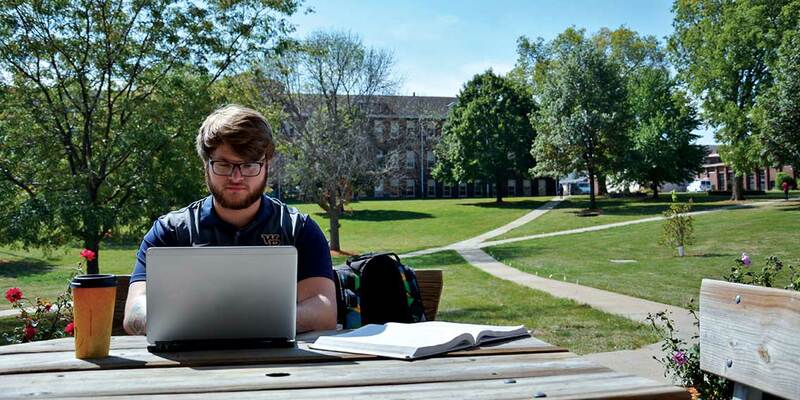 At William Penn, you’ll find more than 20 majors offered through seven academic divisions, with an emphasis on leadership, technology, and inspired potential. "Since 1873 the William Penn experience has been shaped from our Quaker belief that there is value in everyone."